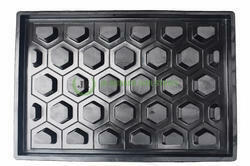 Prominent & Leading Exporter from Thrissur, we offer ventilation grill jali rubber mould and jali rubber moulds. Superior quality jalli rubber mould to cast the perfect grills/Jalli.Can be used for years of casting.Product will retain its shape and dimensions even after years of using.Export quality rubber moulds. Jalli rubber moulds for casting concrete jali. 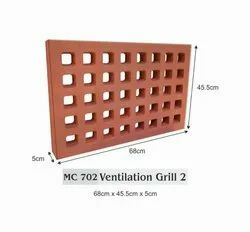 Ventilation gril rubber moulds are widely popular worldwide. We manufacture export quality jali oulds.We have client base in India,Vietnam,Indonesia,Lebanon,Jordan,Oman,Bahrai,Dubai,Saudi Arabia,Kenya,Tanzania,Uganda,Rwanda,Zambia,Malawi,Niger,Nigeria.Ongoing projects at Namibia,South Africa,Brazil,Swaziland,Mali,Congo,Mauritius,Cambodia,Bali,Botswana,Angola,Cameroon,Chad,Sudan,Libya,Algeria,Thailand,Philipines,Ghana.We provide complete technical assistance for erection of paver production plant anywhere in the world.